He is the only aalim of India and Pakistan who has translated the Holy Quran along with its exegesis in English and Urdu, with the Glorious Quran and Tafsir-e-Majidi respectively. His works are acceptable to the jamhur and represent Hanafi views. He has taken great pains to make a comparative study of Judaism and Christianity and established the supremacy of Islam throught geographical and historical evidence. He was a well-read scholar of modern times and spent about ten years in the state of ilhaad, "rationalism" and agnosticism. Then he reverted to the right path and became an ardent disciple of Mualana Ashraf Ali Thanvi, Maulana Husain Ahmad Madni and associated himself with Deoband and Nadwa. His exegesis is very useful for English knowing people. 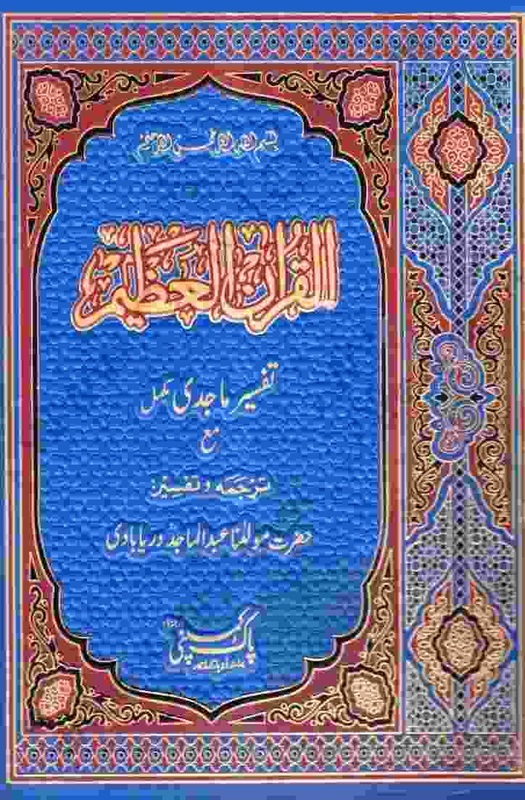 It was published first by Taj Publishing Company, Lahore, then it was published by Majlis-e-Tahqeeqat wa Nashriyaat-e-Islam, Nadwa-tul-Ulema, Lucknow and recently by the Islamic Foundation, Markfield, United Kingdom has published the English translation and tafsir is one volume; "The Glorious Quran" and can be had from them. Another edition has also been published by had from Nadwa-tul-Ulema, Tagore Road, Lucknow.